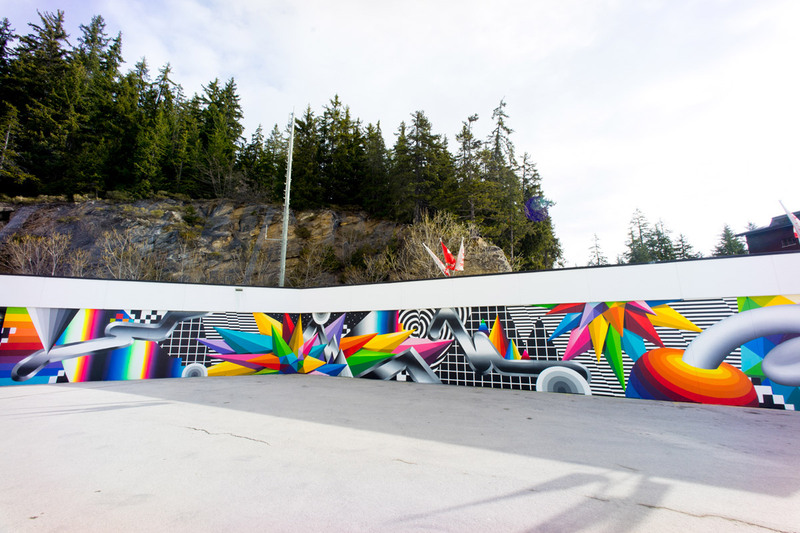 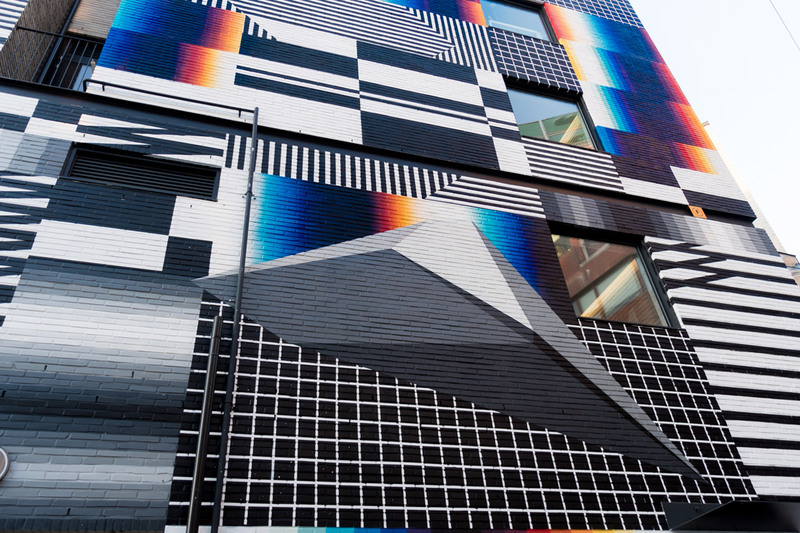 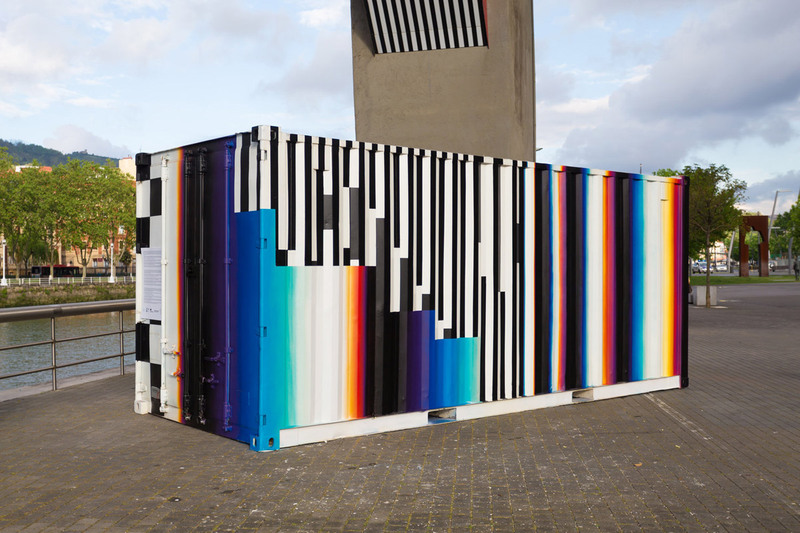 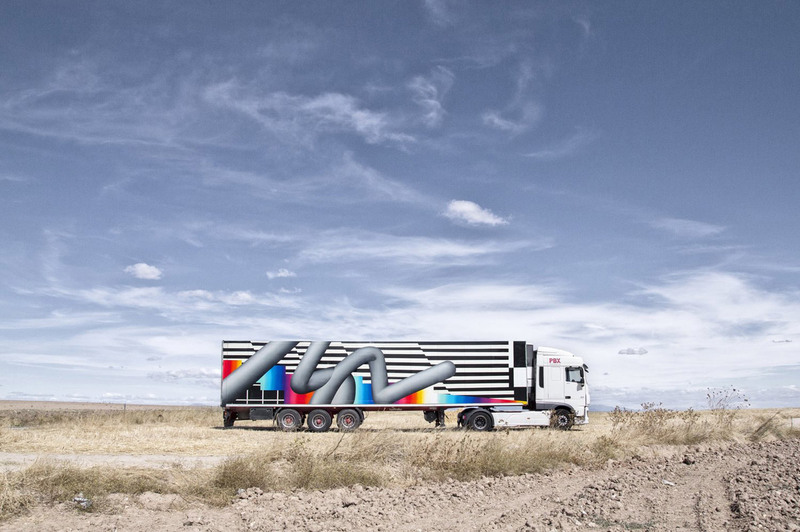 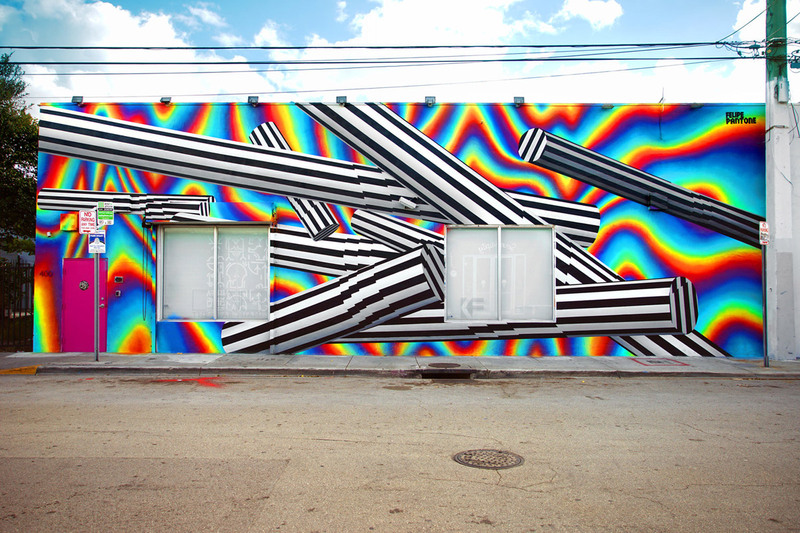 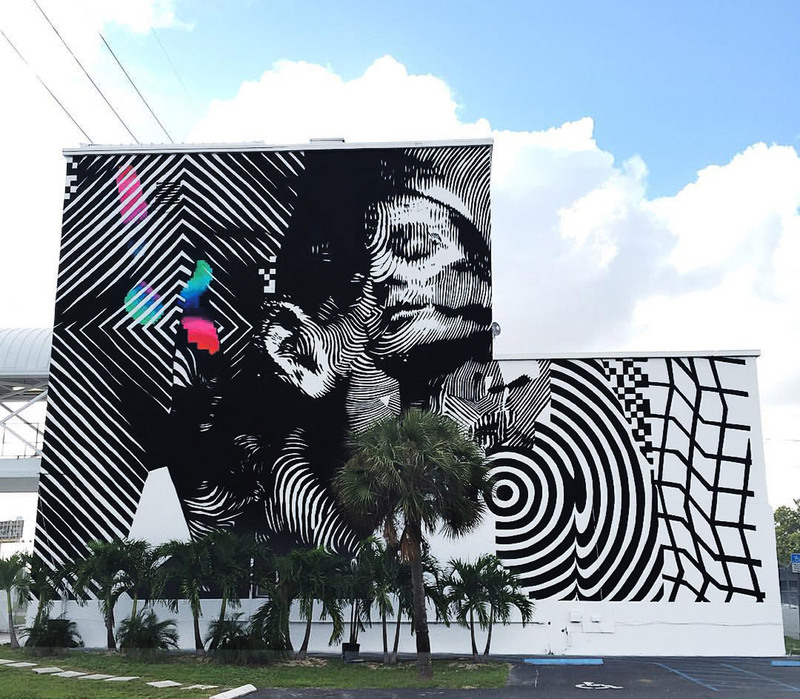 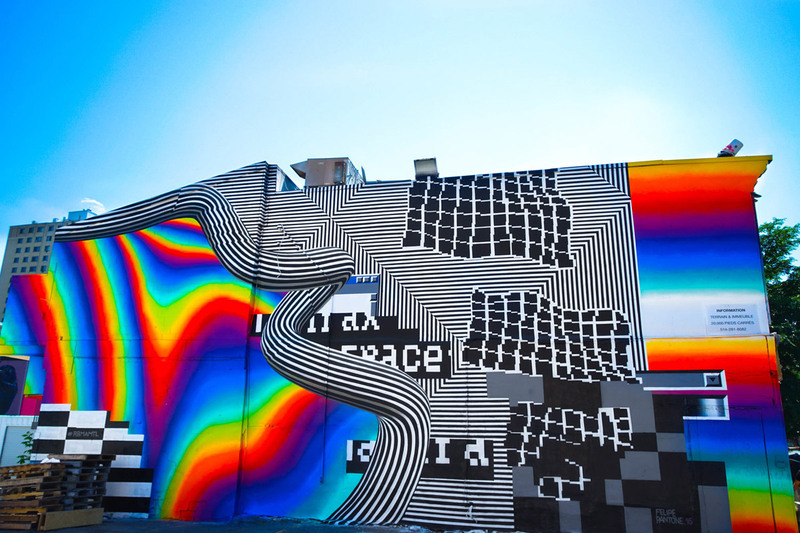 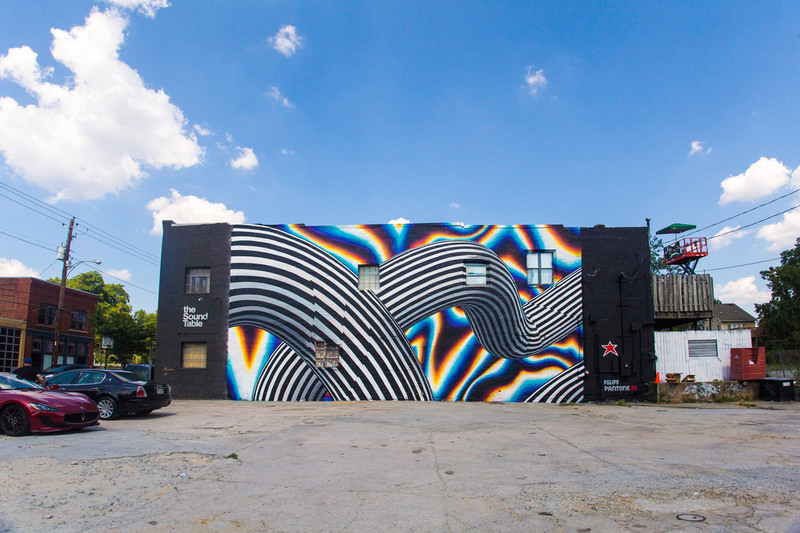 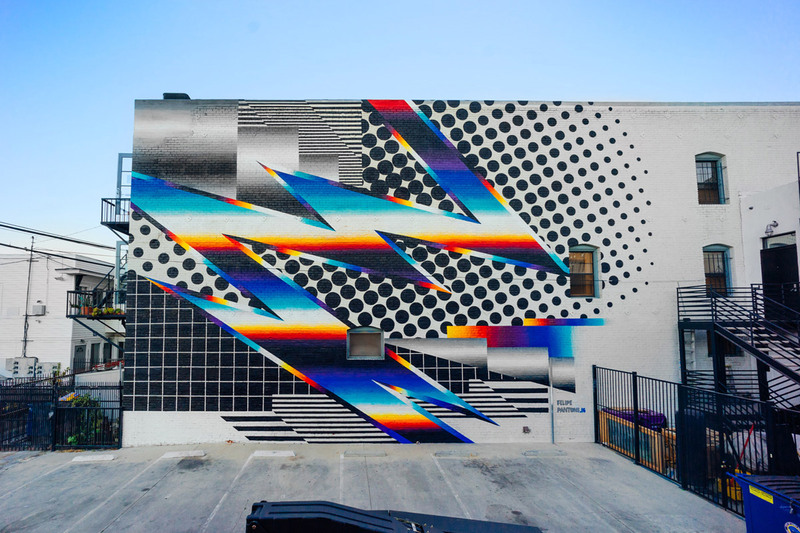 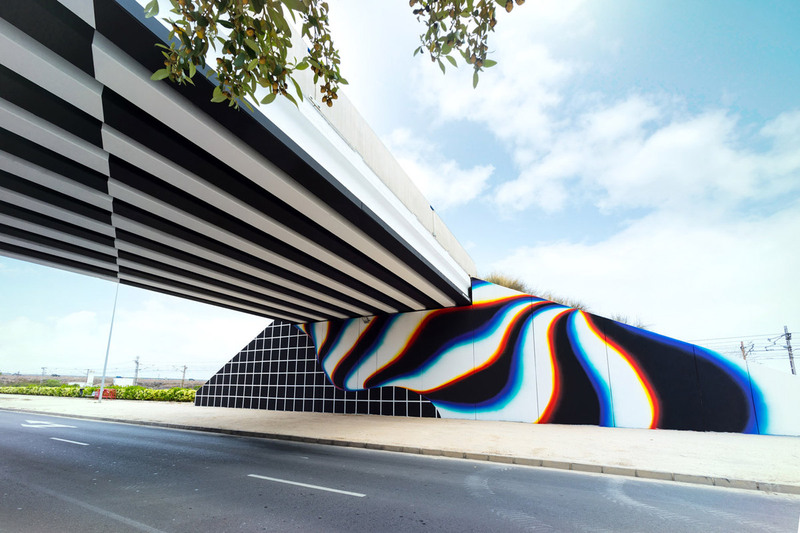 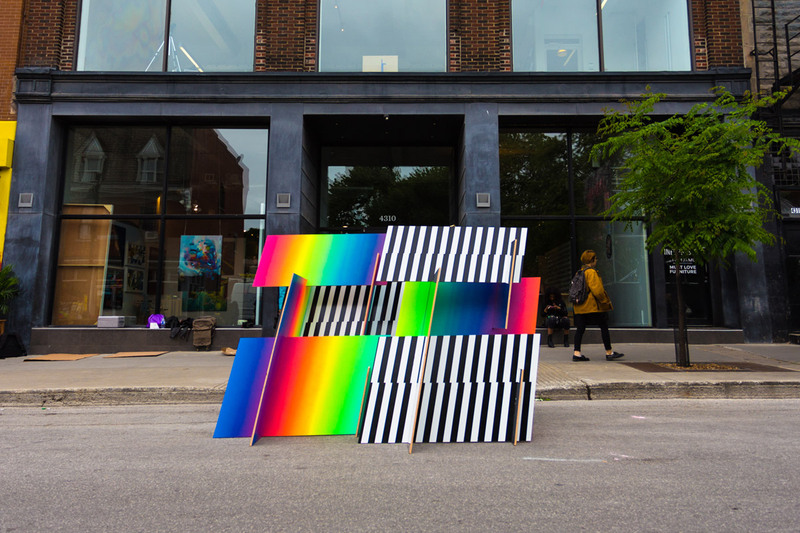 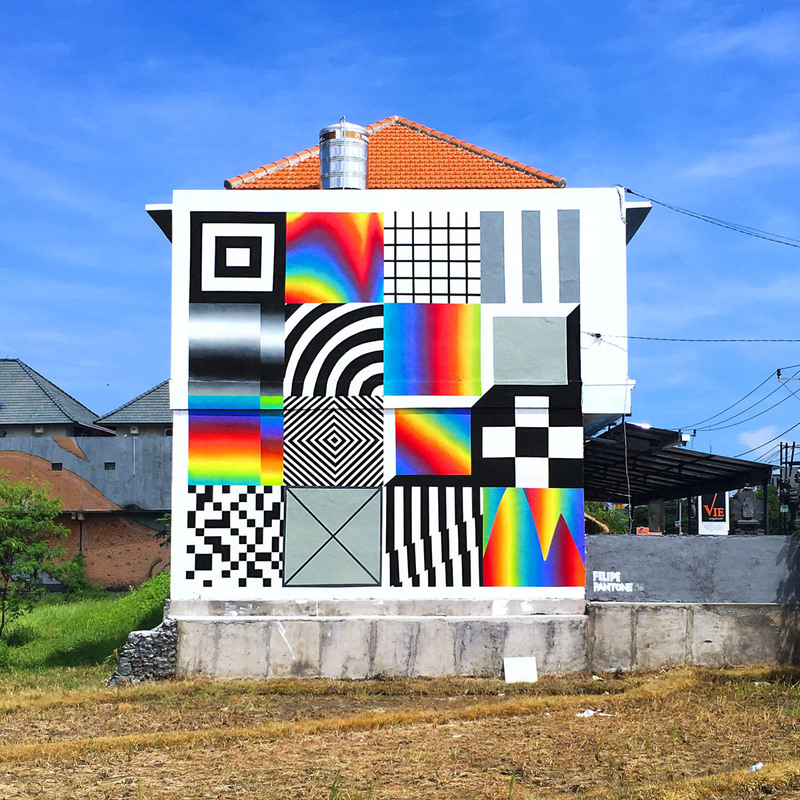 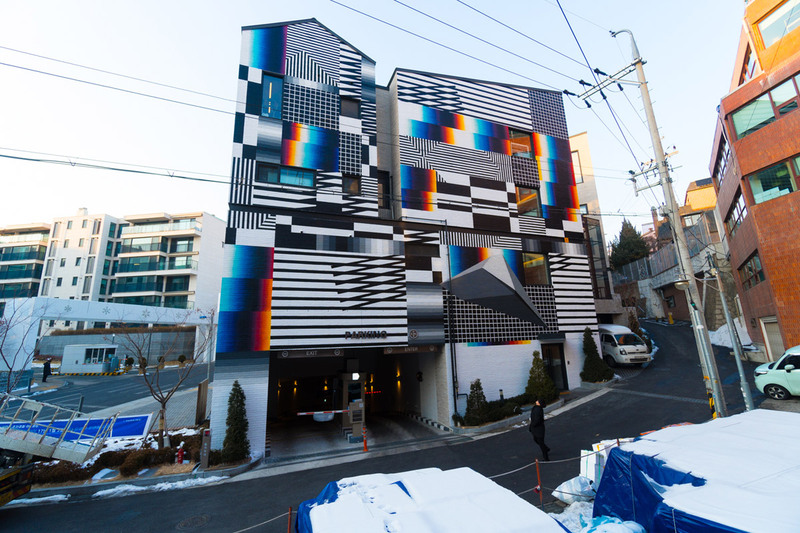 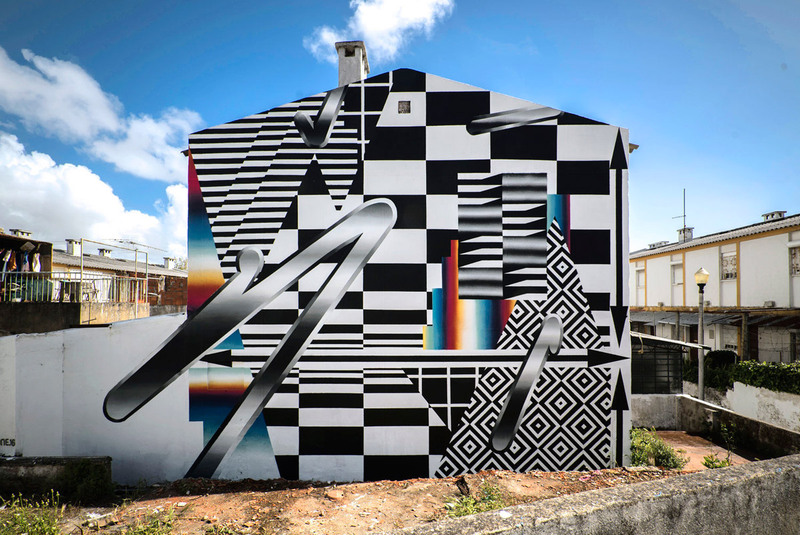 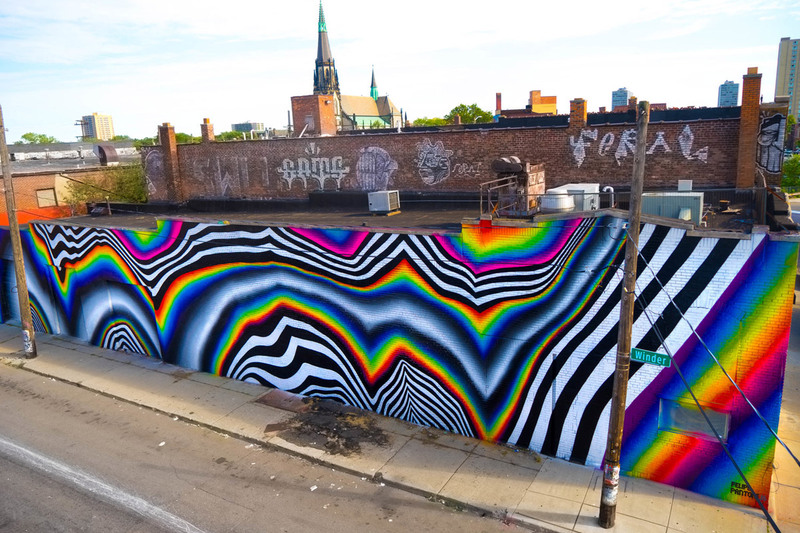 Felipe Pantone is an Argentinian-Spanish graffiti and mural artist, known for his signature style incorporating dazzling high contrast patterns, chromatic aberration, digital distortion, and colourful gradients. 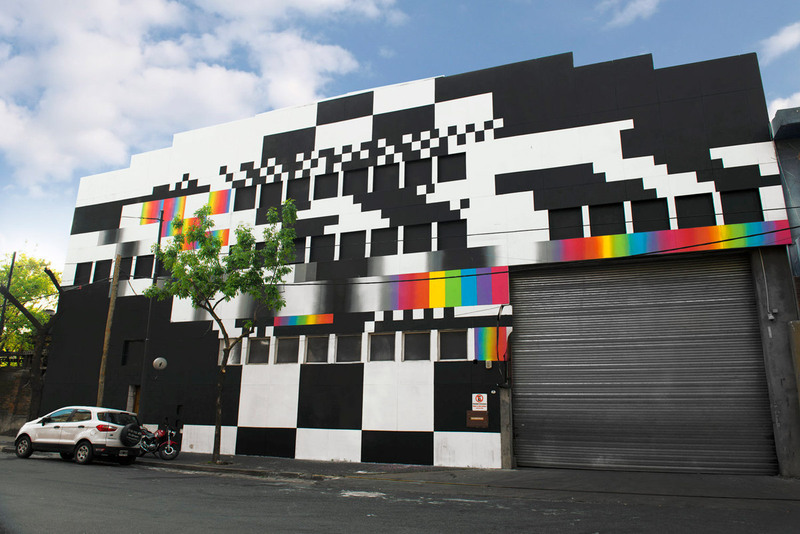 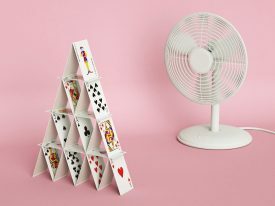 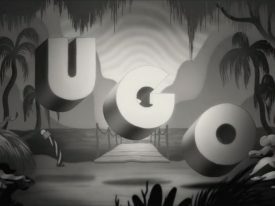 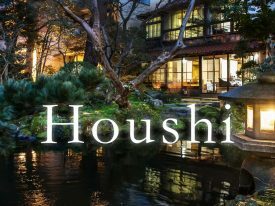 He has created pieces in public and private spaces all over the world with his inspired and unique aesthetic that could only exist in the information age. 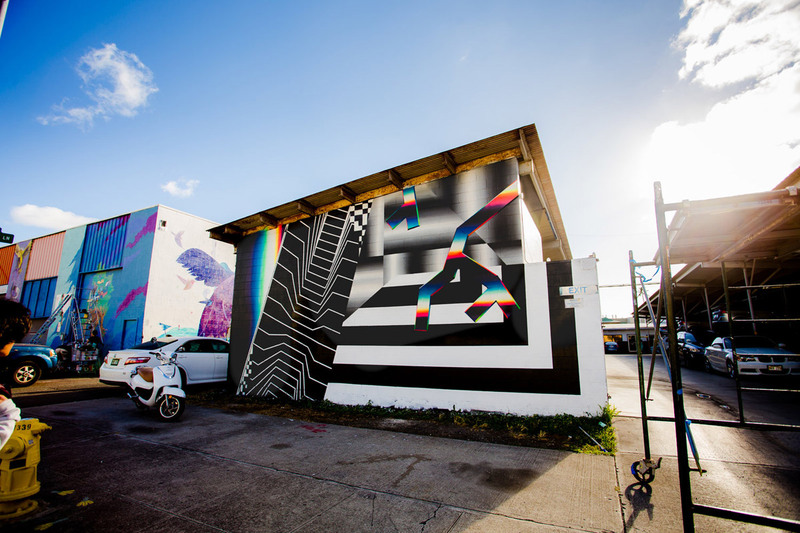 You can see more of Felipe’s work at his website or instagram.